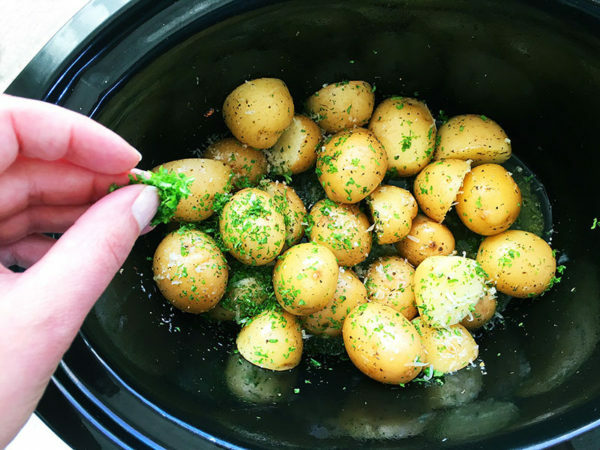 Cheesy potatoes in the slow cooker is an awesome option when feeding a crowd or if you need to juggle a few dishes at once. 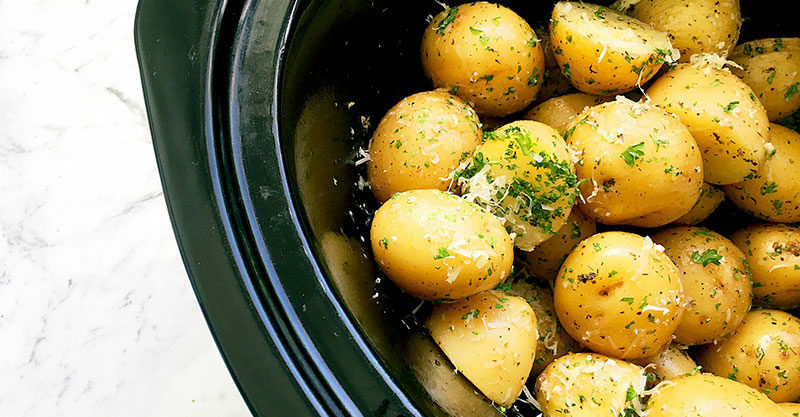 It’s a hearty side dish you can prepare ahead of time. I’m not embarrassed to say if I know I’ve got a couple of busy nights ahead, leftovers sure come in handy in getting a meal on the table in a hurry. 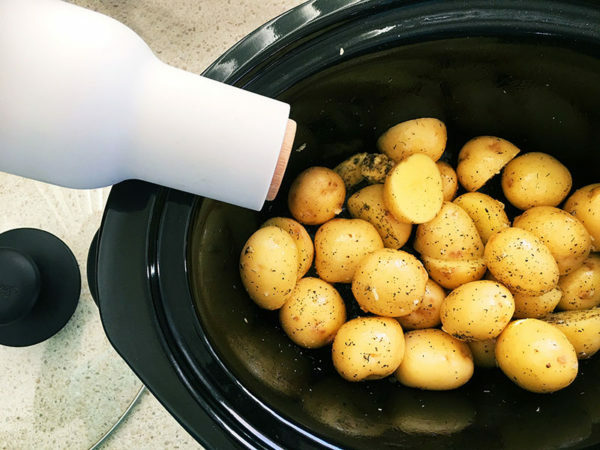 Dust off your slow cooker – we’re dressing up potatoes! 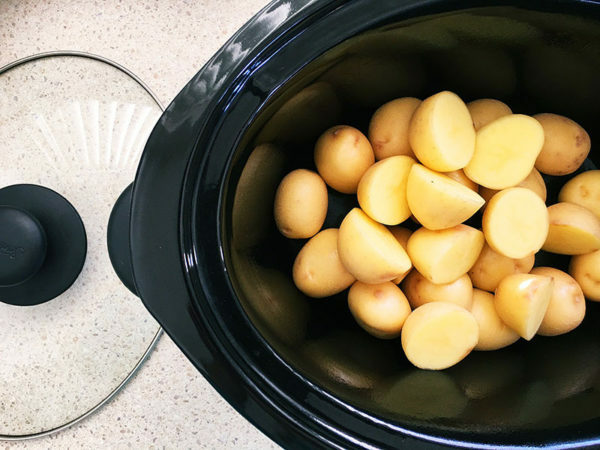 Place your potatoes in the slow cooker. 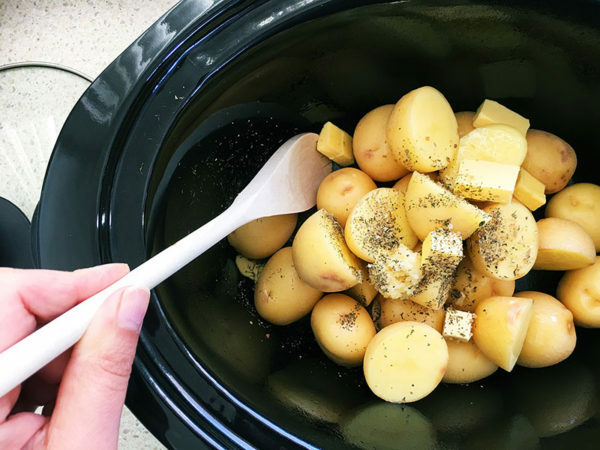 Cut in half any potatoes which are substantially larger than the others. 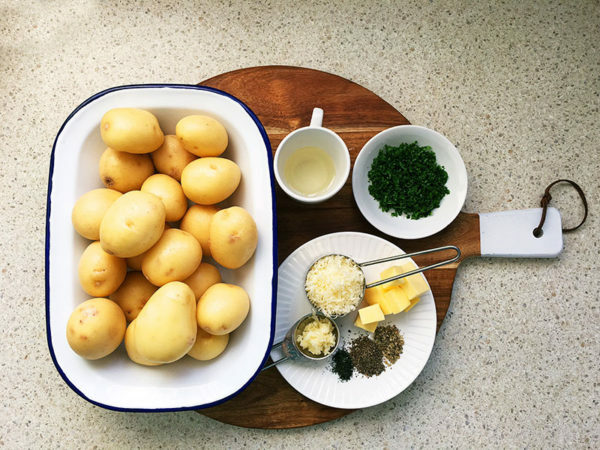 To the potatoes, add the oil, butter, garlic, oregano, basil and dill and stir to combine. Season with salt and pepper. Cover with the lid and cook on high for 1½ hours to 2 hours. 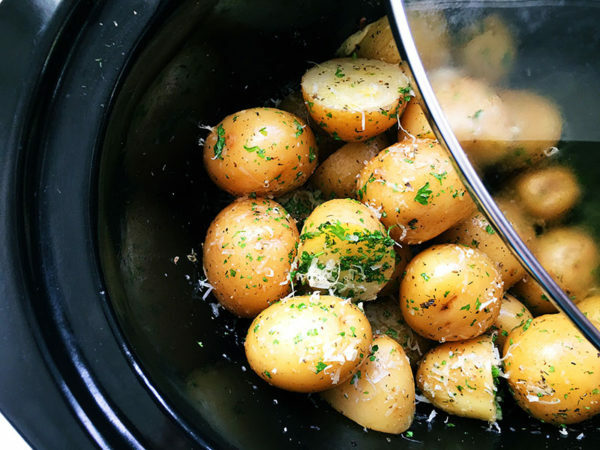 Cooking times will vary depending on the size of the potatoes and they may require longer to be cooked through. When tender, sprinkle with grated Parmesan cheese and finely chopped parsley. Stir and serve.